Colors of the Atlantic | Ponte... nas Ondas! 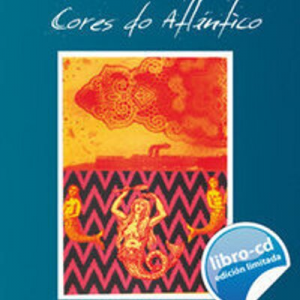 Colors of the Atlantic is a informative musical work about the cantigas de amigo that offers a new perspective on the most authentic genre of our medieval literature, from a double dimension: the theoretical interpretation by the Dutch professor Ria Lemaire Mertens and the musical interpretation by the Brazilian singer-songwriter Socorro Lira together with other Portuguese-speaking artists. Illustrated by the visual artist Quique Bordell. 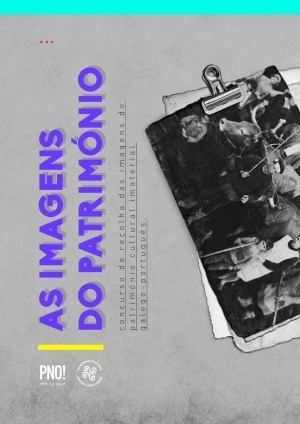 An initiative by the Brazilian composer Socorro Lima, the project was born in 2006 with the beginning of her research on the parallel cantigas de amigo, for the edition of a CD with versions sung in part from those preserved texts. 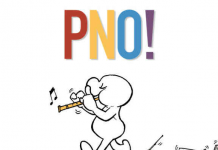 With the scope enlarged and in a book-disk format, it was published in 2010, in Galician and Portuguese by PONTE…NAS ONDAS! and PAI Música, in Spain and Portugal. The theoretical argumentation about the origin of an oral tradition sustained by women is a thesis defended by a specialist in medieval literature in Romance languages who received her doctorate from Utrecht University, Ria Lemaire. 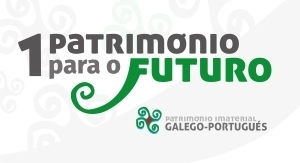 Ria Lemaire, specialist in medieval literature and professor at the University of Poitiers, has written an informative work about the Galician-Portuguese cantigas de amigo as the first samples of Galician-Portuguese intangible cultural heritage, which arrive to us by a learned route: the primitive songs of women. Ria Lemaire takes a novel reading of the context and the meaning of these cantigas as expressions of an oral tradition that is kept alive in the original territory and in the other places where it arrive, either by processes of colonization or taken by immigrants later. In the musical focus the Brazilian singer-songwriter Socorro Lira, together with Portuguese-speaking artists, tackles a contemporary ready of the melody of the cantigas integrating Galician, Portuguese, African and especially Brazilian sonorities; spaces that share the cultural heritage of Galician-Portuguese lyrical tradition. 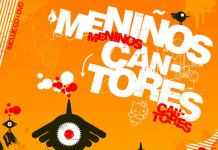 From Brazilian rhythms such as ciranda, samba, batuque, baião, congo, aboio and the Northeast toada, the cantigas de amigo are interpreted in a transgressive form and at the same time harmoniously. Arranged by Jorge Ribas, Colors of the Atlantic integrates the sonorities of three continents united by a common cultural heritage: the lyrical tradition of Galician-Portuguese cantigas de amigo. From Brazil, the singer-composer Socorro Lima brings together traditional voices such as those of Cirandeiras de Caiana de Crioulos together with the collaboration of Margareth Menezes, Maga and Cida Moreira. From Africa, the Guinean Eneida Marta brings her warm voice associated with the rhythms of Guiné Bissau, such as Gumbé, Morna and Singa. João Afonso and Teresa Paiva introduce the Portuguese expression and the sonority of the Porto bagpipe player. In Galicia, we have the voices of Leilía and Uxía which recreate the cantigas which for a while sang the women in this territory which has as its origins Galician-Portuguese medieval lyrical tradition. The artist Quique Bordell from Lugo makes his artistic contribution with illustrations that combine collage and superimposition in a Vanguardist proposal about the lyrics of the cantigas de amigo. Quique Bordell is one of the most interesting artistic references of the panorama of modern Galician art and his work has been related to that of Tápies or with that of the master artist Dubuffet.